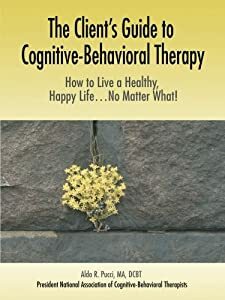 The Client’s Guide to Cognitive-Behavioral Therapy is a companion manual for people receiving CBT in general, and Rational Living Therapy more specifically. This book was recommended by my therapist two years ago. It has made a huge difference in how I think about things and my self-talk. Pucci is a genius at explaining how to see life in a rational context instead of letting emotions get out of control. This book is excellent at helping drive away my sometimes obsessive negative thoughts. Whenever I start to feel overwhelmed, I pick this book back up. I always seem to find a kernel of wisdom that helps me to cope and feel better. I would recommend this book to anyone who feels that they can’t overcome their problems. I love this book. I feel like it keeps saving me again and again. This book is very good who are depress and always have negative thought about themselves. I love examples in this book, it teaches me how to turn negative thinking to positive. I’m highly recommend this book for who think that they are worthless, never do anything right etc. This book will change your thought. This book is an excellent tool for therapist and client! The cost is minimal when compared to the benefit for both client and therapist. When you use this book with therapy, it is very easy to know where you are with your client at any given point in the therapeutic process! I love it. I purchase it for all of my clients as part of their therapy, both individual and group! I have had excellent results with this book, and I happily recommend it to therapists and for any individual seeking to improve their overall quality of life. There is no magic! You have all the necessary ingredients to do the job. The book just helps guide you through the process of being a happier, healthier you! 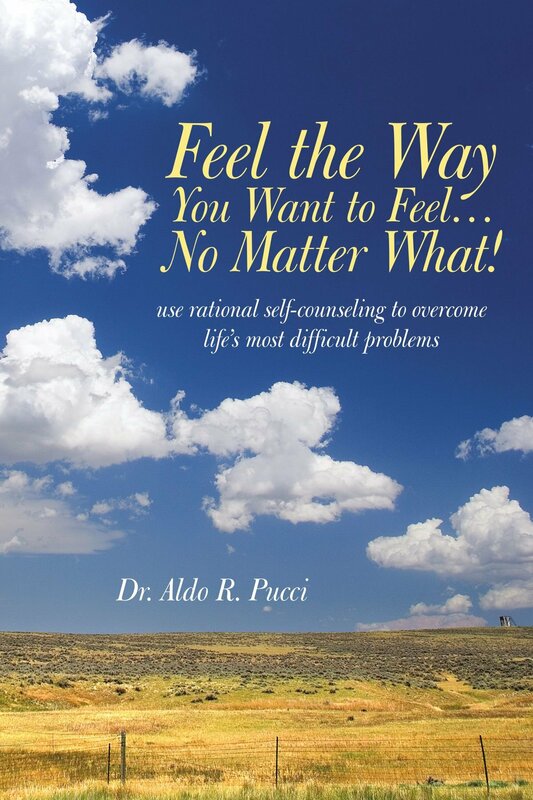 Thank you to Dr. Pucci for all the self-help products. I use them regularly! Feel the Way You Want to Feel … No Matter What is the self-help version of The Client’s Guide to Cognitive-Behavioral Therapy. Fantastic book, loved it very much. It’s a perfect book to understand why sometimes we suffer too much thinking . I truly recommend this book for everybody who wants to know how to handle our emotions. Aldo Pucci is amazing! His style of cognitive behavioral and rational living therapies is unparalleled. He is a mentor to my own therapist, and after reading and practicing the techniques in this book, it will not only change the way you think, it will change the way you act and react to EVERYTHING in a positive way. You are left knowing there is no situation you cannot handle in the best possible mindset.